Warming Hearts & Making A House Feel Like Home...Creatively. Creative Ways That Will Make Decorating For Christmas On A Budget Fun and Easy. Decorating for Christmas on a budget this year and need a little inspiration? 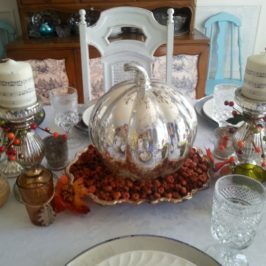 Here are a few quick and easy tips that will get you started on creating a beautiful holiday! Glass Christmas tree ornaments are very inexpensive and you can cheaply buy them in bulk at discount stores and even thrift shops. 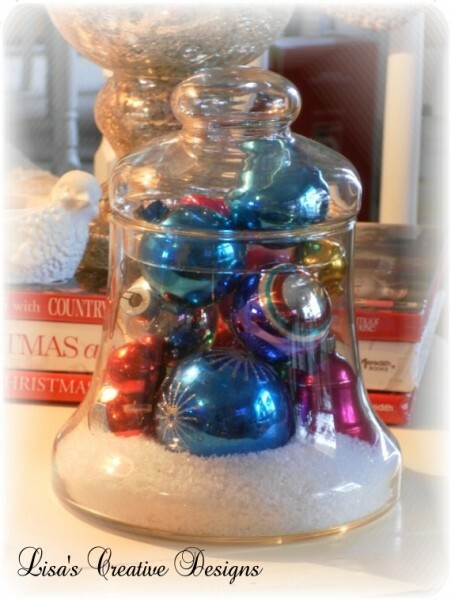 Fill glass containers with new or vintage ornaments for a pretty centerpiece. Tuck them in bowls or on shelves among your everyday decor for a festive look. 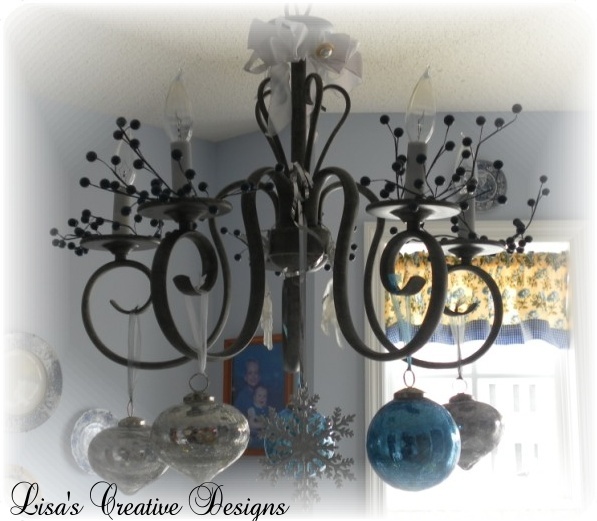 Dress up a chandelier by hanging an assortment or glass ornaments from each arm. Bring In The Great Outdoors. Your own backyard can be a great source for decorating for Christmas on a budget and the best part is that it’s all free! 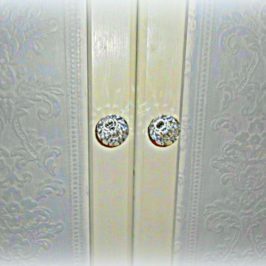 Gather some dead branches, paint them white and sprinkle with glitter. Place them in a vase or other decorative container and you have a beautiful centerpiece! Greenery from Holly bushes or pine trees can be made into wreaths, garlands or tucked in shelves and book cases. If you do not have pine trees or another type of evergreens in your backyard you may be able to get some leftover Christmas tree clippings from your local home improvement store or Christmas tree lot. They usually throw them away anyway. Pine cones make great fillers during the holidays. Place them in baskets, wooden bowls, on shelves or a mantel. Roll them in Spackle, let it dry and it will give the pine cones the illusion that they are covered in snow! You can also do this with the old branches you brought in from the backyard. Need to fill up a naked corner, shelf or table? Wrap up empty boxes with decorative paper and fancy ribbon to create cute Christmas packages. You can place them in the soffit area in your kitchen, under a tree, in baskets or just about anywhere that needs a little holiday cheer. Small packages can be placed in bowls or other containers. You can also use the same technique on your walls. “Wrap” up framed art or photos that normally hang on your wall with decorative paper and ribbon and you will have instant holiday decor! Well, there are a few quick and easy tips to get you started on decorating for Christmas on a budget. 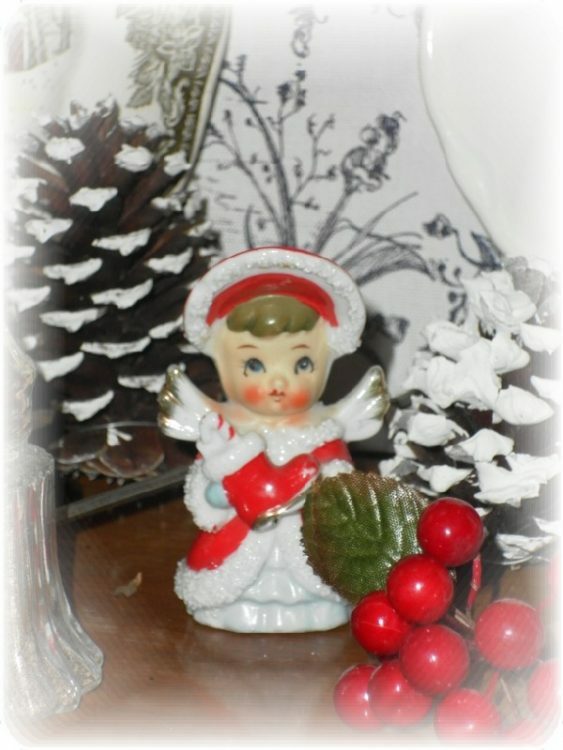 You do not have to have a ton of money in your pocket to have a beautiful Christmas! 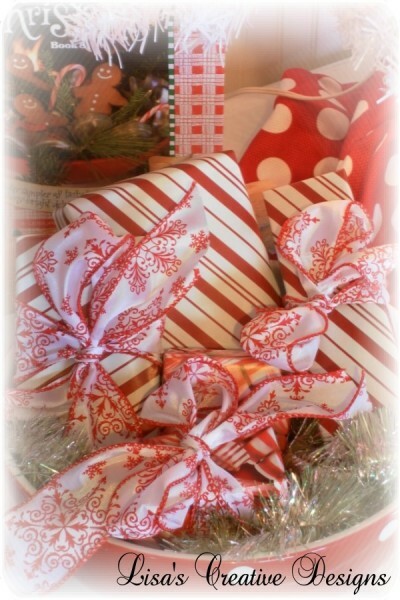 Do you have a budget friendly Holiday decorating tip you would like to share? I would love to hear about them! 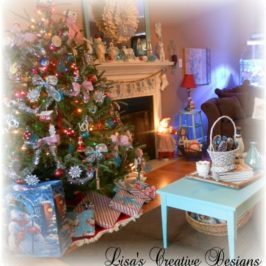 Subscribe to Lisa’s Blog via email and never miss a post! 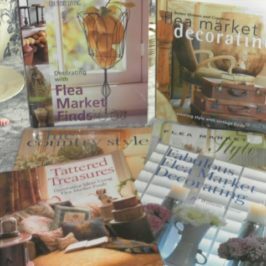 Learn how to decorate on a budget creatively, get crafty ideas and be inspired to tackle your own design projects! Add a little whimsy and charm with this adorable vintage bunny rabbit cookie jar. Well loved, this kitschy cookie jar is perfect for a vintage style kitchen. A handmade, personalized stuffed Bunny Rabbit pillow would make a great gift for Easter or a new baby. Each bunny pillow is custom made to order. A handmade, personalized stuffed dinosaur pillow would make a great gift for that special dino lover in your life. Each pillow is custom made to order. Remember a special event, good times with loved ones or vacation with a set of personalized photo ceramic coasters. They make great gifts too. LOVE IT? PLEASE SHARE IT! And…What Did You Get For Christmas? My name is Lisa. 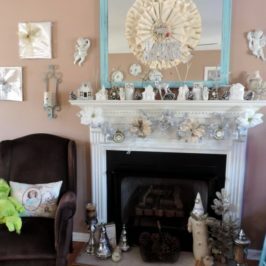 Creating one of a kind gifts and decor and sharing ideas that will make your house feel like home is my passion in life. I put my whole heart and soul into my work. Please enjoy your visit. I am so glad you are here! 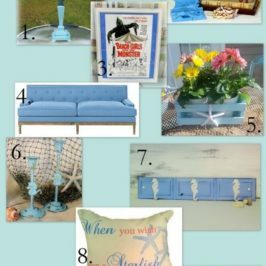 We Were Featured On HGTV’s Beachfront Bargain Hunt Renovation! How To Paint An Old Laminate Floor, Yes It Can Be Done!